While SMSF practitioners may be familiar with the rules for CGT relief, there are some key areas where professionals are hitting snags with the practical aspects of applying the relief, says a technical expert. SMSF specialist and former Perpetual Private head of strategic advice Colin Lewis said there is still a distinct lack of understanding of the CGT relief that will need to be addressed early in 2018. “The irrevocable election needs to be made by the time the fund’s return is due in, which is either the end of February or in May,” said Mr Lewis. What method should trustees claim the relief under? 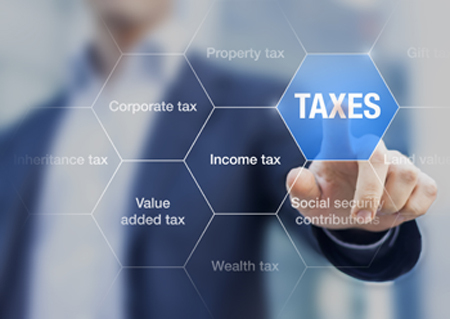 One of the areas causing confusion is determining which method the fund will claim CGT relief under. Mr Lewis explained that this comes down to the way in which the fund was claiming exempt current pension income at 9 November 2016. “That dictates going forward what method you use. So right at the outset at a very elementary level, were you a segregated fund or were you an unsegregated fund at 9 November 2016?” explained Mr Lewis. If the fund was segregated then there will be two options available, he said. “Now in all likelihood, the most attractive one is where the fund became a proportionate fund because it means they can then apply the CGT relief to any or all the fund assets, rather than to just to a specific asset that they’ve commuted back,” Mr Lewis said. What date should be used? The date that should be used is also confusing practitioners, as they may have made a contribution before 30 June, he said. “If you were segregated at 9 November and you become unsegregated on 30 June, then all well and good, but where you put a contribution into the fund during that period, and you didn’t specifically segregate that contribution, then it becomes unsegregated as of the date of the contribution,” Mr Lewis explained. This may have happened in circumstances where the members wanted to utilise their last opportunity to contribute the $540,000 worth of non-concessional contributions into superannuation, he said. “So [in those cases], that’s the date that you’re actually using for the cost base reset, not the 30th of June,” Mr Lewis said. One of the biggest areas of misunderstanding is around eligibility for the relief, where a proportionate fund became fully segregated, he said. If there is a member in pension and a member in accumulation within a fund and the member in accumulation went fully into pension phase during the year, the fund may not be eligible for the relief, Mr Lewis warned. “One of the criteria of the CGT relief for a proportionate fund is that you don’t become segregated at any time. So if the fund does become fully segregated by moving fully into pension phase during the year, then you are ineligible for CGT relief,” he said.